Happy 2010! I hope it has been a happy and safe one so far and continues to be so! Let’s start off the year with a straight giveaway. Something special for one of my readers to start off 2010 right. 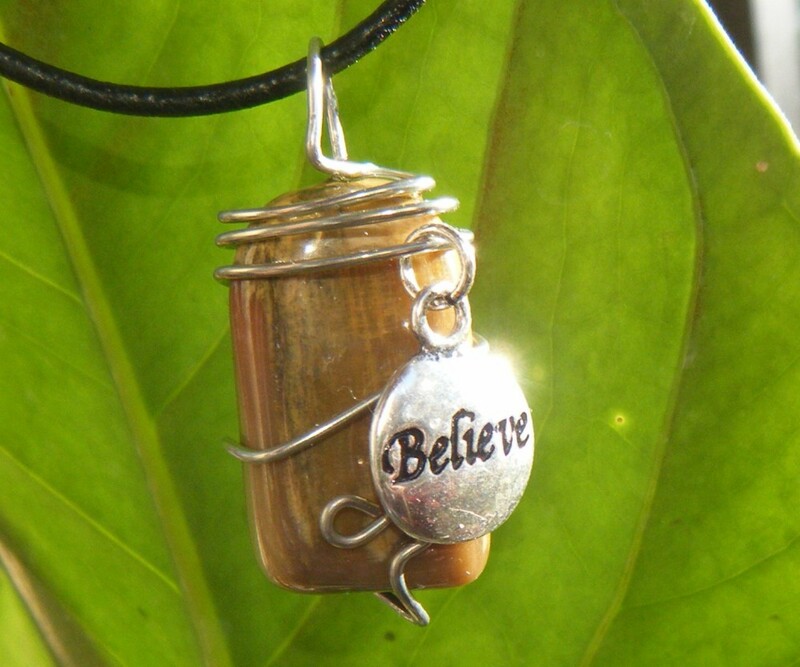 Made from Tiger’s Eye, recycled aluminum wire and a sterling silver charm with “Believe” on it. Each of these items is made of a gemstone that was hand chosen for the necklace. Recycled copper wiring and other recycled wiring is used on each necklace. Each is designed by hand and done so with feeling, care, love and prayer along with being energized creating your one of a kind Revived Jewelry item. Each necklace comes on a black imitation leather cord tied in a double slip knot for easy adjusting to whatever length you desire. Each necklace comes in an organza bag with a card describing Revived Jewelry. Visit one of Tara’s many sites found at the bottom of Tara Burner and comment here on a product you would love to try, something you learn from the one of the sites, or leave a comment on one of her sites and link to it here. Follow @TaraBurner on Twitter and retweet: Custom, Upcycled Jewelry Giveaway by Revived Jewelry! http://bit.ly/4Hj091 #giveaway #green comment that you did. The deadline for entering is Wednesday 1/06/09 at 8pm EST at which time one winner will be randomly chosen. Please don’t forget to leave a separate entry and any entries that show obvious laziness i.e. a simple “Thanks for the great giveaway” will not be published therefore not counted. It’s just not fair for the people that do know how to follow simple directions. US residents only. Thanks! The pendant of the necklace is unique.All handmade jeweleries are always special,as it is prepared according to the requirement of the buyer. For more fashion trend visit http://www.binbin.net/ . It is a very beautiful unique Necklace. I will recommend it as wonderful gift on personal and special celebration. 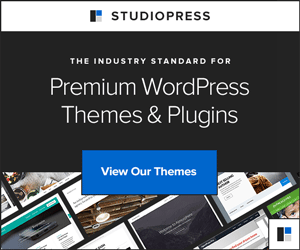 I just found this website and know that I am too late to enter for the giveaway. I do want to say that I like the site and the jewelry. I think using old pieces to create new jewelry is a great idea. .-= sherrin @ Peridot Gold Earrings´s last blog ..Why You Need a Pair of Peridot Gold Earrings =-. I like the Faith Necklace. Would love to receive this as a birthday present! .-= Reed Bruse@Home Security´s last undefined ..If you register your site for free at =-. I love the Enlightenment necklace (http://revivedjewelry.com/catalog/product_info.php?cPath=21&products_id=71). The cool green stone with swirling copper wire is really beautiful. The reflect necklace is absolutely gorgeous I would love to own it! I love the names of the necklaces. I love the Faith wire wrapped necklace! Necklace called Tranquility. Very pretty and inspiring. Also, LOVE the Affordable Mineral Make-up. Will be checking into this more for sure. Thank you Tara: Revived Jewelry and Eco_Office Gals! I like the reflect necklace. Upcycling is a very clever phrase. Revived Jewelry is about upcycling and reusing items to make unique beautiful spiritual pieces of jewelry. I like the Faith Necklace. I learned so much about her on her site. She serves as a Green Coach. What a neat title! She is also very talented in other fields. I have Stumble-d this as maxfate. I like the Whimsy upcycled wire wrapped necklace. The Galaxy upcycled wire wrapped necklace is my favorite piece.Thanks! I would love to try the “Affordable Mineral Makeup” products. Always looking for ways to look great, on a budget! Also, I just LOVE the stone wire-wrapped jewelry pieces. The Fulfillment wire wrapped crystal necklace is very pretty! I love the Whimsy Necklace. I would LOVE to try some Affordable Mineral Makeup! Anything, really! .-= Bonnie´s last blog ..bgreen: Custom, Upcycled Jewelry Giveaway by Revived Jewelry! http://bit.ly/4Hj091 #giveaway #green thanks 4 sharing @taraburner !!! =-. I like the zola spiral sun necklace too. Thanks for the contest. I really like the necklaces from Revived jewelry. I also really like the Fulfillment one. The Reflect necklace looks great to me! Thanks! oooh! The Zola spiral sun necklace is pretty! .-= Chris´s last blog ..New Year Goals, Again? =-. I learned about Affordable Mineral Makeup™ which is natural make-up that’s still affordable. There’s a win-win! Tara’s Fulfillment pendant spoke to me, but all of her work was lovely (and so reasonably priced!). I was also impressed by her broad range of interests and enterprises, all with an underpinning of positive living. I love the fulfillment and tranquility necklaces from revived jewelry. subscribed via amywill5918 at gmail dot com – if I win though can you let know via 2ndchancephoenix – I can get overwhelmed will my amywill email if I stay away a few days – and miss a win! I follow on twitter and my tweet is here: http://twitter.com/artemis432/status/7396388253 I may have this twice – last night my computer kept giving me error msgs and not loading – same this morning – so I’m using my husbands. If so, please don’t disqualify me! I liked the online green directory. That simple categories with green business is an awesome idea. The Fulfillment is my favorite. Thanks for the chance. The Enlightment wire wrapped necklace looks nice. Thanks for the contest! Tara’ Fulfillment wire wrapped crystal necklace! I love the Reflect necklace – and all the jewelry is very special and beautiful! my fave is the “allow” necklace. I love her “Fullfillment” piece. .-= Chris ´s last blog ..New Year Goals, Again? =-. Prosperity Wire Wrapped necklace is so cool. I am following you on Twitter and I like the Reflect necklace. I like the Allow – Sodalite wire wrapped necklace. I would love Tara’ Fulfillment wire wrapped crystal necklace! I love her Fulfillment Wire Wrapped Necklace. The necklace is such a lovely shade of blue!